AW-903e TTW Plasma Etch RIE | Allwin21 Corp. The AW-903e TTW Plasma/RlE etch System is a fully automated, single-wafer plasma Polysilicon Nitride etching system that processes 3″, 4″, 5″, 6″ wafers. The AW-903e TTW system is used in one part of the sequence of manufacturing steps that transfer a pattern formed from a layer of photosensitive material, the photoresist, to a layer that makes up a permanent part of the finished device. The process of defining a pattern with photoresist is known as photolithography, while the etch process transfers the photoresist pattern to the permanent layer. The materials used in semiconductor device fabrication may be etched in two ways, either wet or dry. In wet etching, the material to be etched comes into contact with a liquid in which the material dissolves. The action of the liquid solvent removes material that is exposed to the solution. Material that is masked, or covered, by the photoresist remains after etching as a permanent pattern. Dry etching, also termed plasma etching, substitutes a reactive gas mixture for the liquid solvent to accomplish the same result of pattern transfer. Dry etching is capable of transferring into the permanent layer features smaller than those produced with wet etching, with greater control over the variation in feature size. The current requirements of the semiconductor industry necessitate the use of dry etching for most of the pattern transfer steps. As semiconductor devices become denser and faster, the shift to dry etching will continue. Dry etching systems are divided into two broad categories, batch etchers and single-wafer etchers. Batch etching systems etch more than one wafer at a time, while single-wafer systems process just one wafer to completion before proceeding to the next. 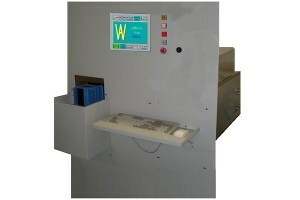 The AW-903e TTW Plasma/RlE Systems are single-wafer etchers. Wafers in the AW-903e TTW are transported to a Reaction Chamber. A gas mixture is introduced into the Reaction Chamber, and the gas mixture is caused to become reactive by the application of radio frequency (RF) electromagnetic radiation. The reactive mixture, or plasma, etches away material that is not covered by the masking photoresist. The etch process is terminated at an appropriate time, the wafer is unloaded from the Reaction Chamber, and a new wafer is introduced. The cycle repeats. The AW-903e TTW System Plasma/RlE etchers have been configured to take advantage of the characteristics of plasmas for etching various films. The 903e has been optimized for specific etches of specific films. It has the common ability to implement multi-step etch recipes using multiple process gases. An optical monitoring system provides a means for determining etch completion so that the etch process may be terminated. Allwin21 provides an advanced AW-900 System Control with touch screen operator interface or 17″ LCD Monitor , Industrial Grade PC with Allwin21 AW-900 software and new main control board. The new control system will enhance the entire system operation. It makes the upgraded plasma etch RIE system much more reliable with real time precise control. 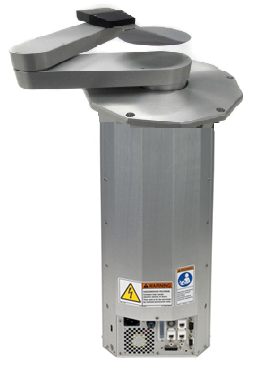 The robust integrated robotic wafer transfer is for much better wafer transfer and MTTB.